Warehouse identification and information signage is a specialty of ASG Services, our ability to design and create any type of warehouse sign means we often produce something which is suitable as a universal yet custom product. 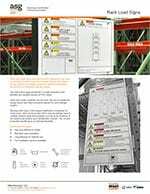 Rack load signs are an informative sign, designed to provide information for the safe loading of racking. Rack load signs are designed in conjunction with the Rack Manufacturers Institute (RMI). 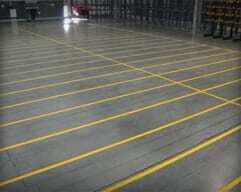 The institute is made up of rack manufacturers focused on the development of racking technology and safety. 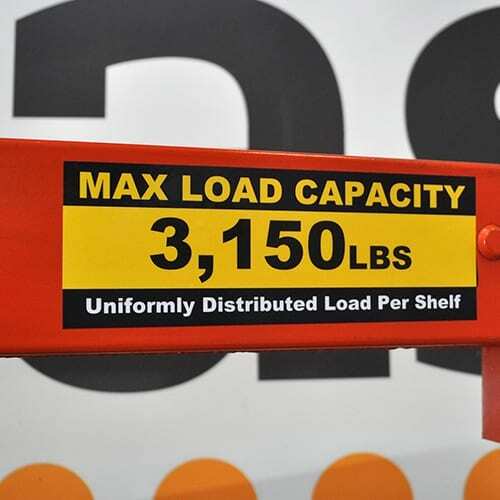 The members came together with ASG Services to create the standard rack load signs which are now used by members and are affixed in all new warehouse rack installations. 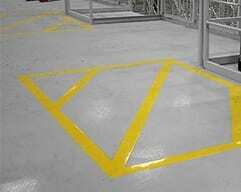 With warning and information notices, they provide advice and guidance, and with a racking bay drawing which shows maximum weights and pallet positions, the signs are an excellent method of keeping your customer, site and employees safe. A website, developed by ASG Services, is available for customers to visit, register and use as an image creator. Once all your content is added to the design of sign you require, the image is rendered and sent to our production team who produce and send the rack load signs direct to site or to your address. Content is customizable, however it is limited based on the RMI’s recommendation. Rack load signs are produced on a range of materials, all of which are specified for durability and utilize the very durable polyester base material to ensure maximum durability of the image. The signs can also be produced using UV resistant materials for racking used outside. All signs are supplied with hardware for installation. 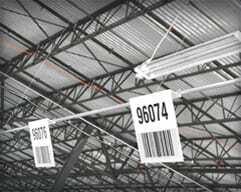 ASG Services installation teams are often asked to fit the rack load signs along with other warehouse signs and labels while on site, helping save cost and utilizing their expertise. 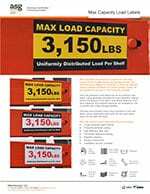 To find out more about the Rack Manufacturers Institute (RMI) and the detail information relating to load capacity signs, visit the RMI website, which is part of MHI. ANSI MH16.1 is the Rack standard for the Design, Testing & Utilization of Industrial Steel Storage Racks 2012 edition. This document is written more for the design engineers. 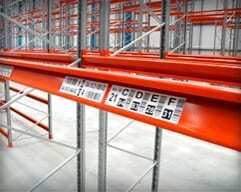 Considerations for the Planning and Use of Industrial Steel Storage Racks. 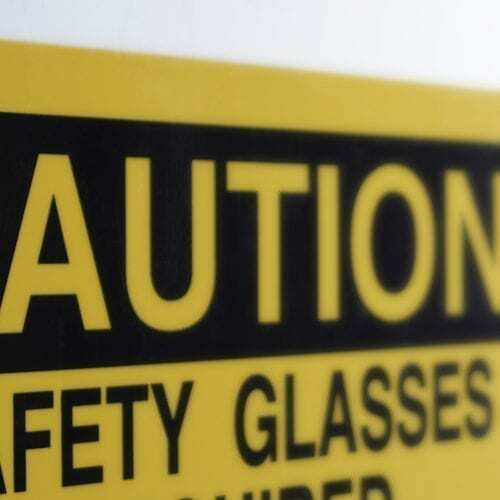 This guideline is written more for the operations or safety personnel that deal with industrial racking on a day-to-day basis. There is also an FAQ’s section on their website, where many questions have already been answered. Click here to read more. The Storage Manufacturers Association (SMA) also have an FAQ’s section on their website which can be very helpful. 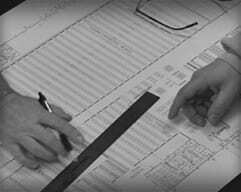 The RMI Rack Safety Blog is a great place to find new and relevant information for rack safety. ASG Services support the Rack Manufacturers Institute. Call ASG Services on +1 (877) 447-9798 for more information on load signs, we can help create them and suggest who to go to for the technical detail. If you have all the information and want us to create some designs, send us the ideas or questions and well work them up for you. Visit our online sign designer to build your own rack load signs.